Donate a car has been very helpful. But saying that I know it’s out of their control but for my Charity to get only $25.00 because scrap metal is down is crap Iam sure they would strip all the new tires and parts off my car which is well over $2000.00 kind of saddens me. Sorry Cancer Society I tried.to do the right thing. So thank you Donate a car you did your part but the rest of the system faile. 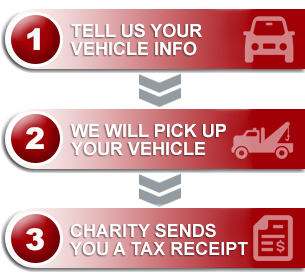 Note from Donate a Car Canada: Thank you for taking time to provide this feedback, Mr. Wade. It is a concern that has been expressed by one or two of our callers as well. Like you, we want to see the highest return possible for our donors and their chosen charities. In the current market (check out our blog, “Metal Monster” for some detailed information on metal values), we’ve learned that scrap yards are in a position to just cover costs with the re-usable/re-saleable parts from our donated vehicles. When a donated vehicle is older than 10 or 15 years the demand for those parts drops, and when we see units with seized engines (as was the case with your faithful ’98 Grand Am) we understand that there are only a few parts that the yard may be able to re-sell. Unfortunately, the mark-up that you and I pay for our tires doesn’t work out to a boost in donation outcomes as they simply do not retain their value after purchase. We have the happy privilege of seeing donors like you benefit the CCS with thousands of donation dollars each year. We know that they are thankful for every dollar that comes through our program, especially in tough economic times like we are faced with today.